Sous Vide Teriyaki Sesame Chicken Bites really do melt in the mouth. With Christmas and New Year coming up fast, I'm making party food. 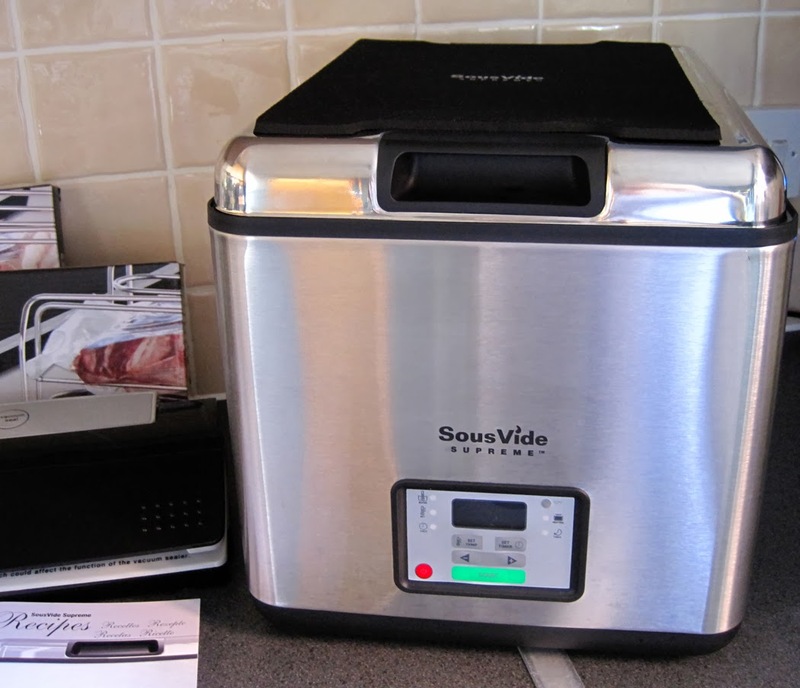 The main part of each recipe can be prepared in advance, ready to cook using the Sous Vide cooking method. 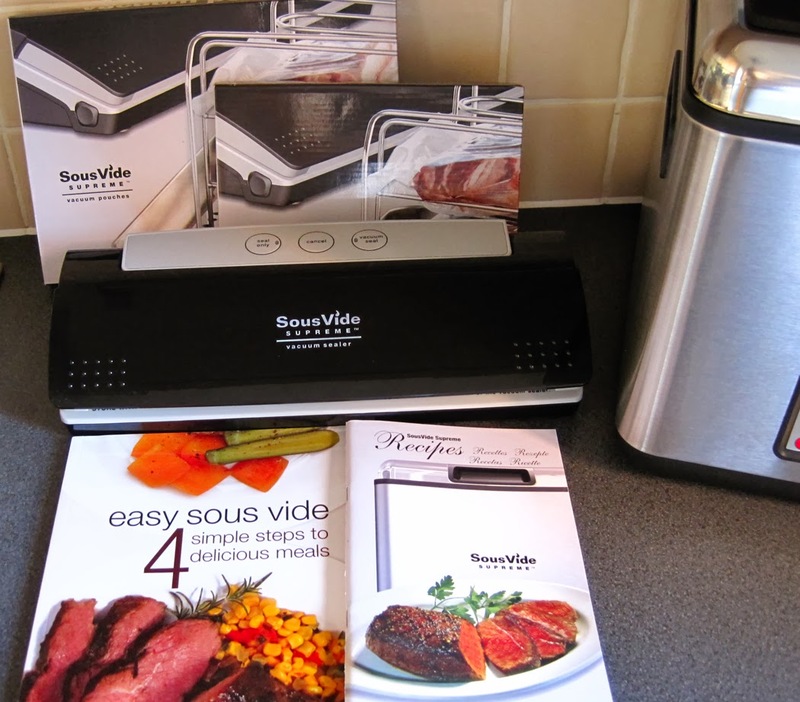 Last month I made a selection of Starter Course Dishes that are all ideal for entertaining and were made using the SousVide Supreme water oven. Chicken is tender and so moist when cooked sous vide. * Please note if you are planning on freezing the chicken before cooking you will only need to make half of this marinade mixture as it wont keep longer than a day. Also the chicken will need to be fully defrosted before cooking in the sous vide. My recipe for Party Food Mini Burgers can be found here and you can find more delicious recipes made in the SousVide Supreme over at my friend Karen's blog Lavender and Lovage. 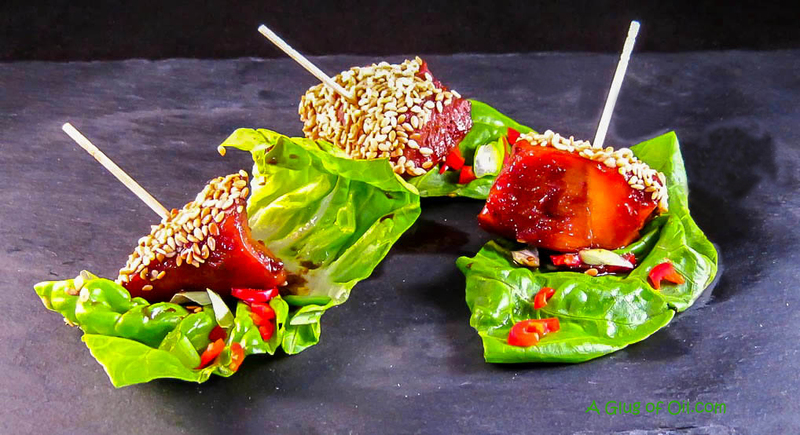 Makes 16-20 (depending on the size of the fillets) Teriyaki Sesame Chicken Bites. Cut each chicken fillet into large bite sized pieces and pop into a bowl. Add just a couple of tablespoons of the marinade mixture to the fillets and stir well to coat keeping the rest of the marinade for later. Drain and put the chicken pieces into a suitably sized cooking pouch and vacuum seal. Pop the sealed pouch into the Sous Vide water oven and leave to cook for a minimum of one hour, but of course they can stay there for a good few hours until you are ready to finish them for serving. Once the chicken has had the minimum time in the water oven, remove the pouch and carefully cut open with scissors taking care of the hot steam. Please don't be fussed that at this stage the chicken will look like all the pieces have stuck together, they haven't - just carefully part each one. Pour some toasted sesame seeds into a small bowl. 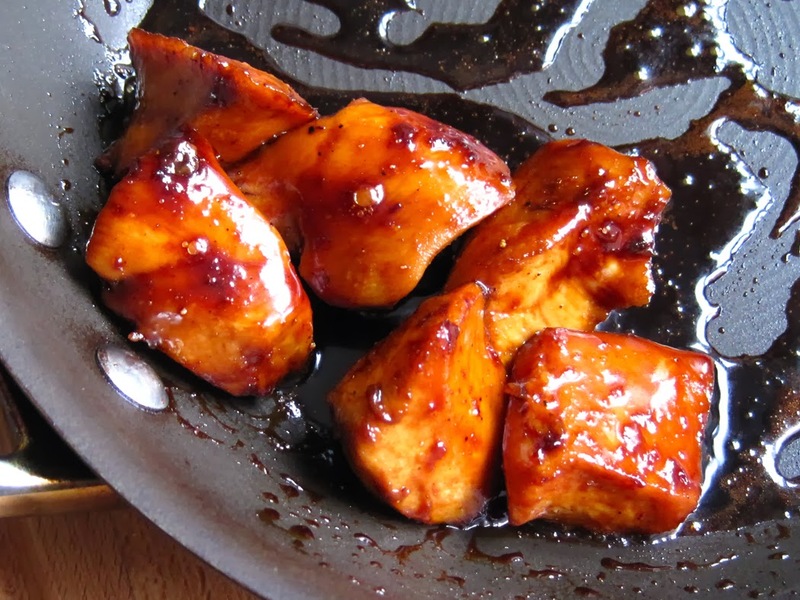 Heat up a frying pan, give the marinade a stir and add to the pan with the chicken pieces. As this was an experiment I only used one small chicken fillet, just saying in case you're thinking there's not much food at her party! Quickly stir the chicken pieces (remember they are already cooked) and coat in the syrupy marinade. Using a cocktail stick, dip one side of each chicken piece into the toasted sesame seeds. Now remove for the cocktail stick and turn the chicken piece over inserting the cocktail stick back in so the sesame coated side is up. Set aside and assemble for serving. Put each one on a piece of lettuce and sprinkle with finely chopped red chilli and spring onions and enjoy! Please note if you are planning on freezing the chicken before cooking you will only need to make half of this marinade mixture as it wont keep longer than a day. Also the chicken will need to be fully defrosted before cooking in the sous vide. 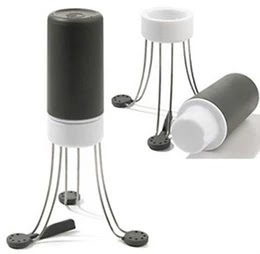 I've never done anything sous vide and don't eat chicken so wondering if this would work with fish? Yes this would work really well with fish too! Love this idea! Have only ever used my sous vide for main course dishes but you are giving me food for thought...!